Custom wedding rings by Kim Maitland and John Podlipec. Left: Kim Maitland platinum with flush set diamonds. 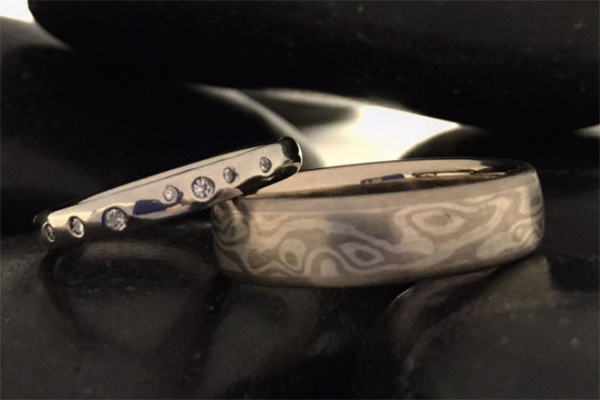 Right: John Podlipec white gold and silver mokume wedding band. Call for custom order pricing.